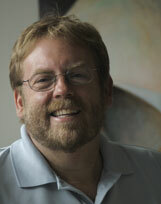 Bruce Duncan has been the Managing Director of the Terasem Movement Foundation Inc. since 2004. He has worked in the field of non-profit administration and education for over 25 years. He is repsonsbile to for overseeing the mangagment and implementation of the research and educational outreach of the Lifenaut Project and other programs of the Foundation. He has taught conflict resolution at the University of Vermont and worked at Seeds of Peace, an international peace camp. He is also a filmmaker and has produced several independent films and documentaries. Vermont Web Design by AdvantageCreations.com.